The island of Santorini, a few hundred kilometers north of the island of Crete, assumed its present form when a volcano violently erupted, resulting in a collapsed caldera. Several villages now reside at the top of the caldera cliffs, one of which is the island’s capital, Fira, shown above. 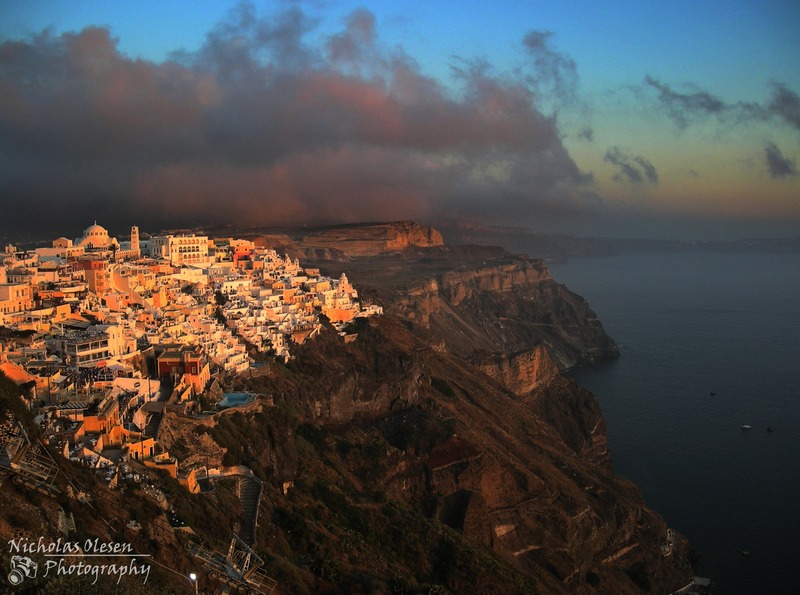 Another village on the island, Oia, is a great place to watch the sun setting over the Mediterranean Sea.